When you aren’t being the best version of you, you realize it sooner and are able to make a correction more quickly. You have more patience, let things go more easily, handle stress a little bit better - or a lot better - and you become aware when these are needed. You become more aware of everything around you. You notice the beauty of a cardinal on a branch outside your window and let it stop you in your tracks. You feel gratitude for having the opportunity to see it. It can help you slow down and realize more quickly that you need to. You become more aware of the small moments, of the blessings that surround you. 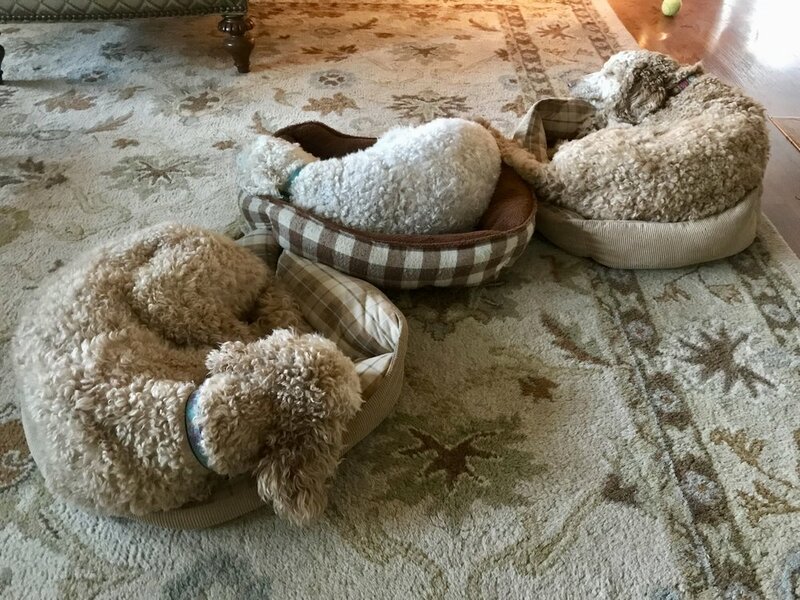 It can be as simple as looking up, seeing three dogs sleeping in front of you and feeling the love that emanates from them. 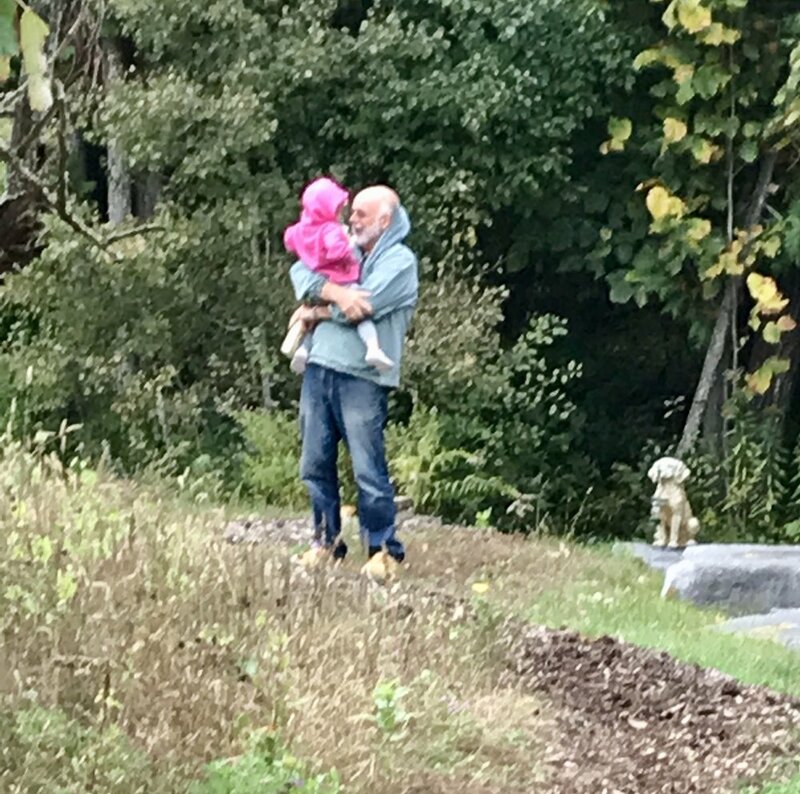 It can be looking out the window, seeing your husband holding your granddaughter, and stopping to hold your hand over your heart and say a silent ‘thank you’. This life is a miracle. Meditation can help us realize it. Meditation can help us remember it. Especially when we don’t feel particularly miraculous. And that’s when meditation can help us. It can help us notice and become aware of all of these tiny miracles that we so often pass by. As you go about your day, watch for the miracles. If you need help with your meditation practice I’m here for you. Always. Meditation blessed my life and helped me find the miracles when some parts of my life had brought me to my knees. And for that, I am truly grateful. *The quote is entry #3 from Your True Home; The Everyday Wisdom of Thich Nhat Hanh. You can click the photo to see it on Amazon. Hi, Glenda here sharing my thoughts with you. I've discovered that what I really do is help people find more serenity in a way that is real-world, practical and accessible to anyone. I'm a Certified davidji Masters of Wisdom & Meditation Teacher, a Reiki Master, a Qigong Teacher and facilitator and host of retreats and workshops. I welcome your comments and appreciate you taking the time to read this blog. Don't hesitate to get in touch if you have any questions or would simply like to reach out. Did you like this post? Join the Serenity Community here to receive timely news & tips to help you live a more stress-free life. Did you like this post? Join the Serenity Community and keep informed of new posts & happenings..